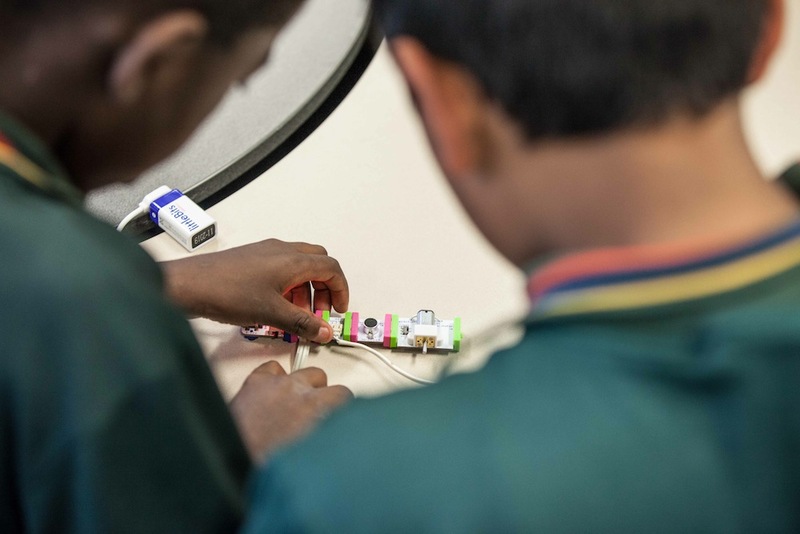 Cathy: The littleBits project at Watson Road State School has provided students with the opportunity to work collaboratively and think differently. The open-ended nature of the task meant that students felt confident to try out new ideas, knowing that there were no right or wrong answers. 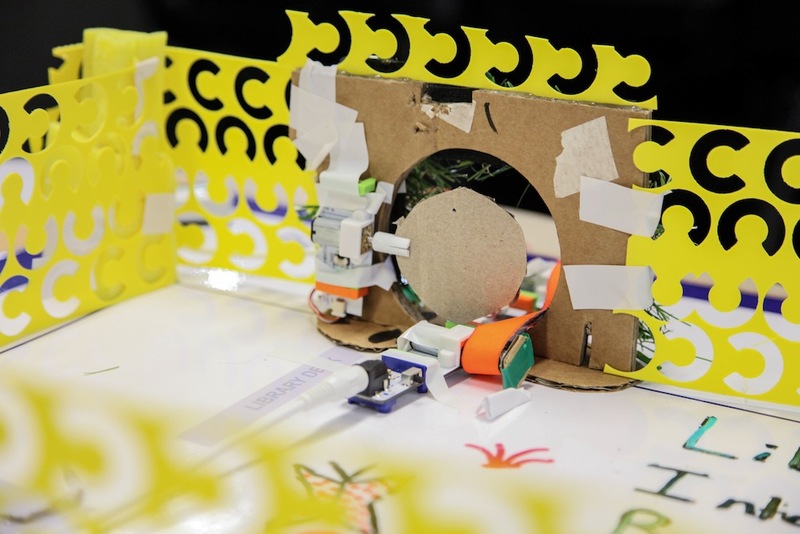 Students were given a challenge: to design a library of the future. They saw this as a real-life and authentic task, which encouraged self-directed learning and the application of knowledge and learning by experience. This project stepped way from traditional classroom learning and introduced 21st century problem solving skills to students in an engaging way. Students were motivated and enthusiastic about their participation in the challenge. The cross-curricular connections in the project are very strong. Students were required to collect data and research, and were asked to apply the information to plan their prototypes and conceptualise their design. 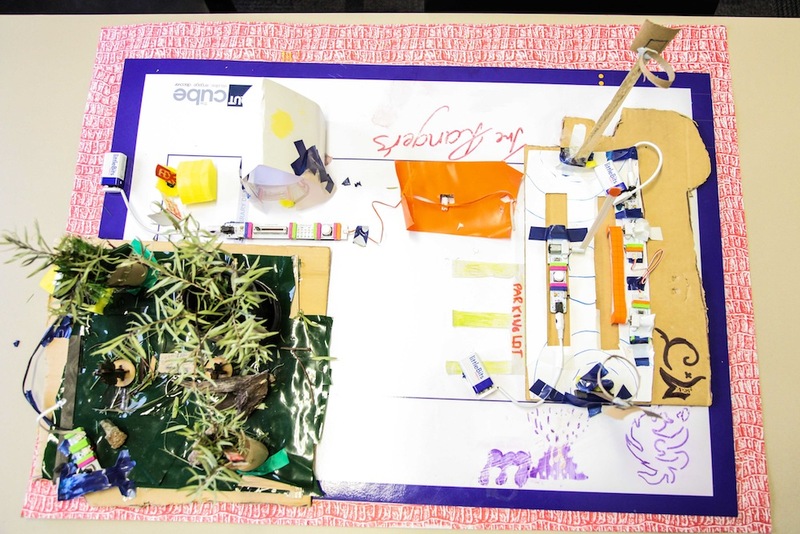 The design-and-make nature of the project, as well as links to science and engineering, met requirements in the key learning area of technology, in which students use design thinking and technologies to generate and produce designed solutions for authentic needs and opportunities. Students were encouraged to collaboratively apply their knowledge and practical skills and processes when using technologies to create innovative solutions that meet current and future needs. The practical nature of the project engaged students in critical and creative thinking, including understanding interrelationships in systems when solving complex problems. A systematic approach to experimentation, problem solving, prototyping and evaluation instilled the value of planning and reviewing processes to realise ideas. Links to English were reinforced with students interpreting descriptions and research. They were required to read and give instructions, generate and explore ideas with others, write design briefs and specifications, and participate in group discussions. Students communicated their ideas and proposals to an audience. By learning the literacy of technologies, students understand that language varies according to context and they increase their ability to use language flexibly. Technologies vocabulary is often technical and includes specific terms for concepts, processes and production. Students learn to understand that much technological information is presented in the form of drawings, diagrams, flow charts, models, tables and graphs. They also learn the importance of listening, talking and discussing in technologies processes, especially in articulating, questioning and evaluating ideas. The project provided students with an opportunity that they would not ordinarily have had. QUT and Brisbane City Council Library staff facilitated self-directed learning whilst providing expert guidance to students and staff. The project was a wonderful success.